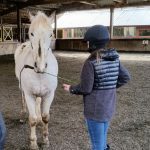 Slowly but surely, all across the world, more and more people are coming to understand the unique way that work with horses can help those struggling with social, emotional, behavioral and mental health issues, find a path to healing and happiness. In this story/news clip from ABC New South Wales, Psychologist Sam Tassini talks about why she has incorporated horses into her practice. The article goes on to say that more research is needed, but that the practice of Equine Therapy is showing a lot of promise. 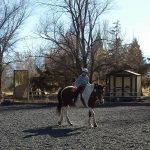 At Nevada Equine Assisted Therapy, through work with horses, we provide social, emotional and behavioral growth and learning, as well as a mental health intervention called Psychosocial Rehabilitation. We get referrals from teachers, parents/caregivers, therapists. When providing mental health interventions we are part of a treatment team that includes the client’s therapist. We are an ancillary treatment that amplifies the goals that the licensed therapist has set for the client. These goals may include increasing focus, decreasing anxiety and much more. 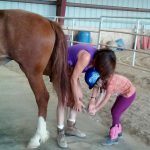 As stated in the article, horses are really able to help in so many ways. When we focus on the social, emotional and behavioral component we establish goals with parents, caregivers, or, when working with adults, based on the client’s own specific wishes. These goals may be to increase mindfulness or to help build/rebuild self-confidence, among others. Our team is here to help. 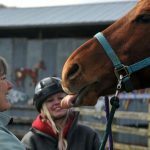 Our staff are PATH Certified instructors and Qualified Mental Health Associates, working under the supervision of a Licensed Marriage and Family Counselor and of course our incredible herd of horses! If you or someone you know is struggling with life’s challenges, call us or send us an email. We will schedule a visit to the ranch and introduce our herd. We will learn more about what you are dealing with and share how we might be able to help. This entry was posted in Addiction, ADHD, Anxiety Disorders, Asperger's, Autism, Bipolar, Children's issues, Depression, Eating Disorders, Grief, Mental Health, OCD, ODD, Other challenges, PTSD, Reactive Attachment Disorder, Schizophrenia, Seniors Program, Sensory processing issues, Team Building, Teens, The horses. Bookmark the permalink.